According to the UN’s human rights chief, Navi Pillay, the downing of the Malaysia Airlines plane in Ukraine may be a “war crime”. Pro-Russia Ukrainian rebels and the Ukrainian authorities have accused each other of shooting down flight MH17. 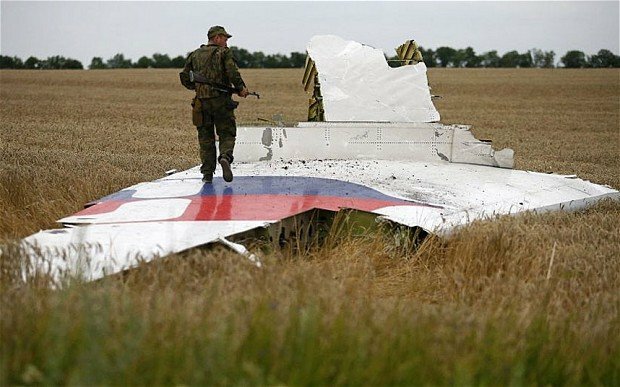 A Ukrainian official said on Monday that MH17’s data recorders show it came down due to “massive explosive decompression” caused by a rocket. Meanwhile, heavy fighting has again prevented an international police force from reaching the crash site. The Ukrainian military said it was battling separatists for control of several towns near the site in eastern Ukraine. All 298 people on board the airliner – mostly Dutch – died on July 17.
International police want to help secure the huge site so that plane wreckage and human remains can be examined by international crash experts. Most of the bodies have been removed, many of them repatriated to the Netherlands. “This violation of international law, given the prevailing circumstances, may amount to a war crime,” Navi Pillay, the UN High Commissioner for Human Rights, said of the downing of MH17. “Every effort will be made to ensure that anyone committing serious violations of international law including war crimes will be brought to justice, no matter who they are,” she said. Navi Pillay spoke as the latest UN report on Ukraine suggested at least 1,129 people have been killed and 3,442 wounded in the Ukraine conflict since mid-April. The conflict has displaced more than 200,000 people, many of whom have fled east to neighboring Russia. Meanwhile, Ukrainian security spokesman Andriy Lysenko told reporters on Monday that recovered flight data showed the aircraft crashed due to a massive, explosive loss of pressure after being punctured multiple times by shrapnel.